Let's take a break from the heavy Hadoop stuff that we read through the week to a hand picked collection of images for your next presentation. Remember to check the licence from the source. Click on the images to enlarge and view source. 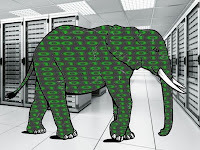 We Just told you Hadoop is big money.. need more proof that it’s the new currency ? Hey man was just browsing through the internet looking for some information and came across your blog. I am impressed by the information that you have on this blog. While building up an analytics dashboard, one of the major decision points is regarding the type of charts and graphs that would provide better insight into the data. To avoid a lot of re-work later, it makes sense to try the various chart options during the requirement and design phase. It is probably a well known myth that existing tool options in any product can serve all the user requirements with just minor configuration changes. We all know and realize that code needs to be written to serve each customer’s individual needs. To that effect, here are 5 tools that could empower your technical and business teams to decide on visualization options during the requirement phase. Listed below are online tools for you to add data and use as playground. As the amount of data continues to grow exponentially, there has been increased focus on stored data reduction methods. Data compression, single instance store and data deduplication are among the common techniques employed for stored data reduction. Deduplication often refers to elimination of redundant subfiles (also known as chunks, blocks, or extents). Unlike compression, data is not changed and eliminates storage capacity for identical data. Data deduplication offers significant advantage in terms of reduction in storage, network bandwidth and promises increased scalability. From a simplistic use case perspective, we can see application in removing duplicates in Call Detail Record (CDR) for a Telecom carrier. Similarly, we may apply the technique to optimize on network traffic carrying the same data packets. LinkedIn, the pioneering professional social network has turned 10 years old. One of the hallmarks of its journey has been its technical accomplishments and significant contribution to open source, particularly in the last few years. Hadoop occupies a central place in its technical environment powering some of the most used features of desktop and mobile app. As LinkedIn enters the second decade of its existence, here is a look at 10 major projects and products powered by Hadoop in its data ecosystem. 1) Voldemort: Arguably, the most famous export of LinkedIn engineering, Voldemort is a distributed key-value storage system. Named after an antagonist in Harry Potter series and influenced by Amazon’s Dynamo DB, the wizardry in this database extends to its self healing features. Available in HA configuration, its layered, pluggable architecture implementations are being used for both read and read-write use cases. Disclaimer: Apache Hadoop, Hadoop, Hadoop Elephant Logo and Apache are either registered trademarks or trademarks of the Apache Software Foundation in the United States and/or other countries, and are used with permission as of 2013. The Apache Software Foundation has no affiliation with and does not endorse or review the materials provided at this website. The Apache™ Hadoop® project develops open-source software for reliable, scalable, distributed computing. 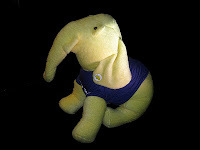 Apache Hadoop is an independent project run by volunteers at the Apache Software Foundation. HadoopSphere is no longer accepting new article contributions or any sponsorship requests. The current site is active only as archive to support numerous citations done by people over the years. Thanks to the wonderful community for keenly following the site.